The Quad City Times recently announced the winners of the Quad City Times Readers Choice Awards 2018 – including Soderstrom Skin Institute and Skin Dimensions Day Spa as winners of the following categories: Dermatology, Plastic/Cosmetic Surgery and Spa. Thank you to everyone who voted for Soderstrom Skin Institute and Skin Dimensions Day Spa! Since opening its Iowa offices in Clinton (2007) and Davenport (2008), Soderstrom Skin Institute and Skin Dimensions Day Spa has offered comprehensive skin care services to patients in the Quad Cities and Eastern Iowa area. Their team of board certified dermatologists, plastic surgeons, special trained physician assistants, nurses and estheticians work together to provide unique and innovative dermatology and cosmetic services for patients including: dermatology, skin cancer surgery, free skin cancer screenings, acne treatment, psoriasis treatment, laser services, cosmetic surgery, medpsa and spa services. 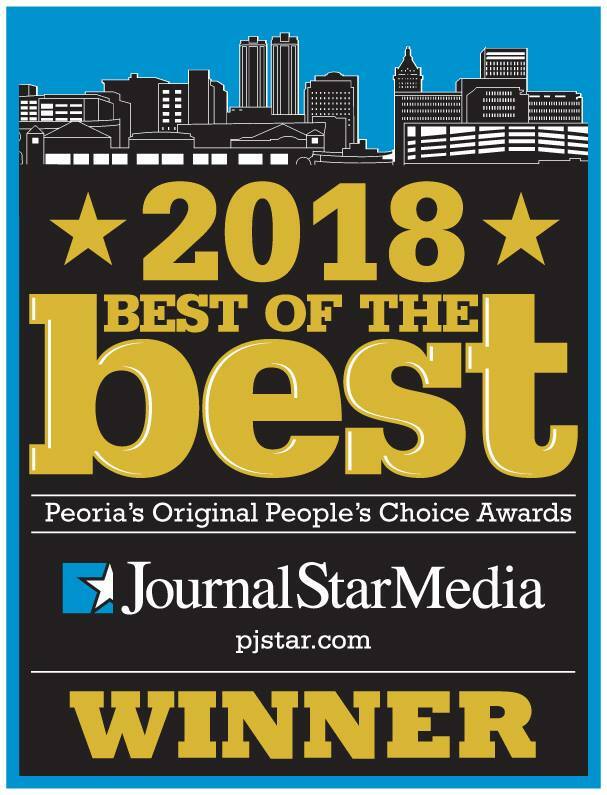 Earlier this year, Soderstrom Skin Institute and Skin Dimensions Day Spa were also winners in JournalStarMedia’s 2018 Best of the Best Peoria’s Original People’s Choice Awards. 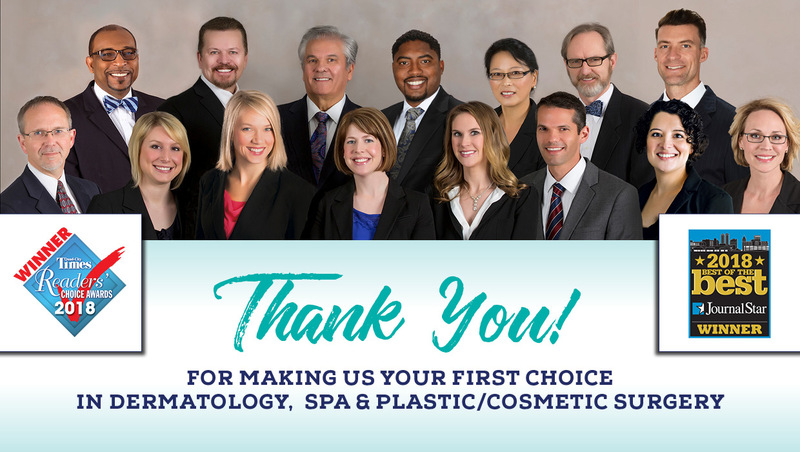 Soderstrom Skin Institute and Skin Dimensions Day Spa placed first in 6 of the 6 nominated categories in Journal Star Media’s 2018 Best of the Best business listing: Best Dermatology Group, Best Cosmetic Surgeon (James M. Jeffries III, MD), Best Plastic Surgeon (J. Eric Lomax, MD), Best Spa/Medical Spa, Best Manicure and Best Cosmetics. Thank you to everyone who voted for Soderstrom Skin Institute and Skin Dimensions Day Spa! Different colors are absorbed by different wavelengths of light. Make sure the laser can target the specific colors in your tattoo. Soderstrom Skin Institute uses the Q-Switched Nd: YAG (black, blue, red, orange and yellow inks) and the Alexandrite (green inks). These lasers are gold standards in the industry and FDA approved for tattoo removal. WHO WILL PROVIDE THE TREATMENT? Laser tattoo removal at Soderstrom Skin Institute will be performed by highly-trained staff and board certified dermatologists. HOW DOES THE LASER REMOVE THE TATTOO? The laser penetrates the skin and vaporizes the ink, as a result, pigment in the tattoo is broken up. A scab forms over the treated area and pigment is released through the scab and absorbed by the body’s natural cleansing process. Time in between treatments is needed so the tattoo can heal and your body has enough time to process and flush the ink from your system naturally. The immune system breaks down the ink slowly, usually taking a few weeks to see the full results from each treatment. Amount of ink used by the tattoo artist. Depth of the ink in the skin. Location of the tattoo on the body. Each session removes approximately 50% of the remaining pigment. Your treatment plan should be discussed during your initial consultation. WILL THE TATTOO BE COMPLETELY GONE? There are hundreds of tattoo ink colors, manufacturers and formulas – each tattoo fades at a different rate. For these reasons, it’s difficult to predict 100% removal. Black and red pigments are easier to remove. Light blues and greens are the most difficult. In many cases, more than one laser will be needed to treat a tattoo. Every person has a different pain tolerance. Many compare it to the discomfort of getting the original tattoo. It is often compared to a rubber band snapping on your skin. A topical anesthetic is available if needed. There are risks with any medical procedure. All risks and benefits will be discussed during your initial consultation. DO YOU HAVE PHOTOS OF PATIENT RESULTS? Soderstrom Skin Institute is proud to provide you with photos of our own patients after they have completed our laser tattoo removal program. Considering a laser treatment like laser vein treatment, laser hair removal, or laser tattoo removal? Here are 9 helpful questions to guide you in your search. How many years has your center provided laser services? Like many technologies, medical laser treatment has advanced rapidly. It is vitally important your provider has the necessary training and experience to provide safe patient care and desired aesthetic outcomes. 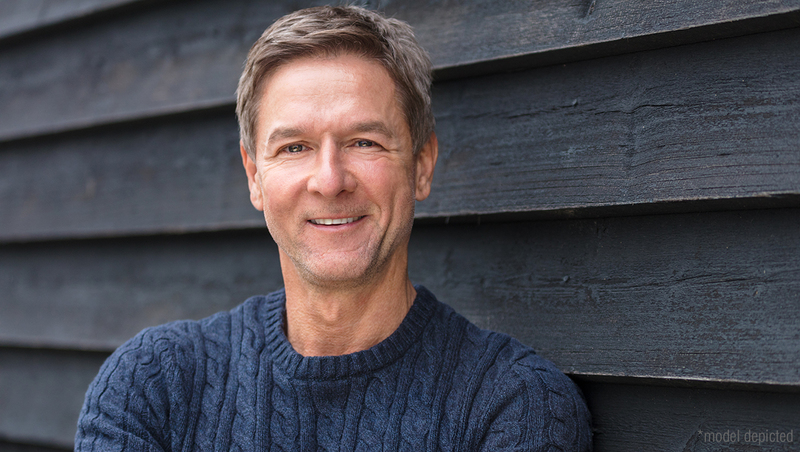 More than 25 years ago, Soderstrom Skin Institute started their laser treatment program and became one of the first providers of these services in the state. Is there a medical doctor that oversees laser protocols and techniques? In some states, medical training is NOT required to operate a laser treatment center. Keep in mind, operating a medical facility means a physician is required to meet certain guidelines set by the state medical board that optimize efficacy and patient safety. The medical staff at the Soderstrom Skin Institute are leaders in the field of dermatology, plastic surgery and cosmetic services. Highly educated and board-certified, our physicians, physician assistants and nurse practitioners are the foundation upon which Soderstrom Skin Institute has been grounded since its inception 40 years ago. Our philosophy is simple: our patients come first. Are your laser clinicians certified and trained? Licensing and training requirements for laser operators can vary from state to state. Make sure your provider is properly trained prior to your treatment. Our doctors are proud members of the ASLMS American Society for Laser Medicine and Surgery and follow their guidelines on laser safety and training. What type of lasers do you use? Some laser centers only have one or two lasers and try to provide multiple treatments with limited equipment. Make sure your provider has the right laser for your specific needs. Soderstrom Skin Institute has ten different lasers providing multiple wavelengths for use in treating a variety of issues including brown spots, wrinkles, facial rejuvenation, unwanted hair, leg and face veins, tattoos, birthmarks, scars, stretch marks, warts, psoriasis and rosacea. Do you have Before and After treatment photos? Make sure your laser provider has before and after photos of patients of who have received laser treatments at that facility. Everyone’s pain tolerance is different. Some people compare it to a rubber band snapping. At Soderstrom Skin Institute, a topical anesthetic is provided if needed. This will vary depending on the type of laser and the type of treatment being performed. Be sure you know up-front how many treatments will be needed for the results you desire. During your laser consultation, your goals will be discussed and a treatment plan will be provided that includes number of visits and time frame needed to meet your goals. Are there any risks to Laser Treatment? There are risks with any medical procedure. Be sure these are explained to you prior to your treatment. Our laser clinicians will explain benefits and risks during your laser consultation. Do you provide financing options? Many patients have difficulty paying a large lump sum out-of-pocket for these services. We offer financing is offered through Care Credit. Ask for details during your consultation. Give us a call at 1.888.970.7546 to schedule a consultation with our team or visit weknowlasers.com. Smartlipo® is a medical device designed exclusively to perform laser liposuction. A very thin tube containing a laser fiber is inserted in targeted areas through a small incision. The laser fiber delivers thermal energy directly to fat cells for easy removal. The laser literally melts the fat, which is removed with gentle suction. At the same time, tissue around the area tightens through coagulation, contributing to a smoother shape overall. Is Smartlipo® Right for Me? The best candidates are non-smokers in good health who are not significantly overweight, but have fat deposits that are resistant to diet and exercise. Which Areas Can be Treated with Smartlipo®? The most popular areas are the face, neck, jawline, arms, abdomen, flanks (love handles) hips (saddlebags) buttocks, inner/outer thighs, knees, ankles and back. On average, the procedure will take 1.5-2 hours. * This is dependent on the number of areas to be treated and the size of the areas. WILL I NEED TO BE IN THE HOSPITAL? Smartlipo® is an in-office procedure normally done with local or general anesthetic, depending what is best for the patient. Smartlipo® destroys fat cells in the treated area. However, it is important to maintain a healthy diet and exercise regimen to enjoy long-lasting results. WILL I NEED ANY POST-TREATMENT AFTER SURGERY? WHAT IS THE DIFFERENCE BETWEEN SMARTLIPO AND OTHER NON-INVASIVE METHODS OF FAT REDUCTION? Smartlipo® provides an immediate measurable amount of fat removed during the procedure. In comparison, no measurable fat is actually removed during non-invasive methods such as radio frequency, ultrasound, heat or cooling fat reduction treatments. Give us a call at 1.888.970.7546 to schedule a consultation with our team! In 2015, nearly 170,000 people in the US had eyelid surgery. The majority, nearly half were 51-64 years old. ** Many of these procedures were done for cosmetic reasons, but others were done for medical reasons. When most people think of blepharoplasty, they think of a cosmetic “eyelift” performed to tighten up droopy upper eyelid skin and create a more refreshed youthful appearance. You may be surprised to learn that droopy eyelids can actually impair your vision. When is an “eyelift” considered functional? When your eyelid falls too low and partially covers your pupil, it can impair your vision. This condition is called ptosis. Some people are born with ptosis and others experience ptosis as they age and the tendons that hold up the eyelid stretches. Either way, it is sometimes necessary to conduct a blepharoplasty to restore normal vision. In most cases, if your vision is being impaired, your insurance will likely cover some or all of the costs of a functional blepharoplasty. When is an “eyelift” considered cosmetic? Patients have different reasons for considering eyelid surgery. The best approach is to sit down with a plastic surgeon who is certified by the American Board of Plastic Surgery or an ophthalmologist and discuss your concerns. 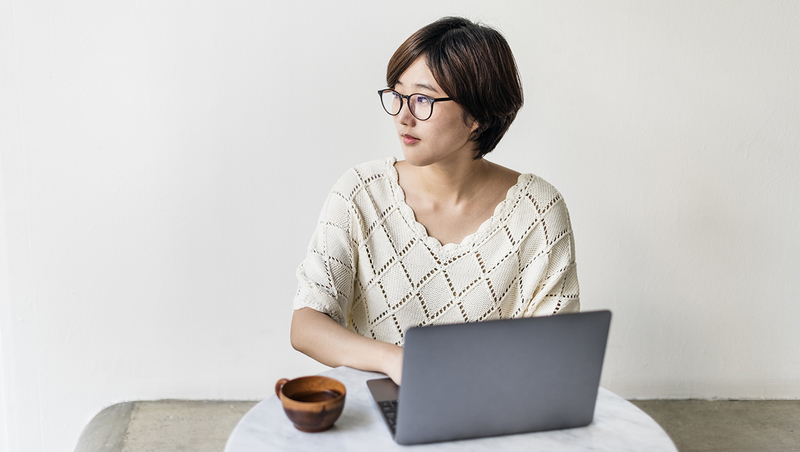 These professionals can help make sure your expectations are realistic and that you have a good understanding of the risk and benefits associated with the recommended treatment.